Danner Men's 17602 Brown 5 Inch Corvallis GTX Non-Metallic Safety Toe Boots are waterproof and have full-grain leather uppers to give them a long life. They’re handmade workwear that feel like athletic shoes. These Danner boots are THAT good. The design of th ... (see full details) (see specifications) #DNN17602. Danner Men's 17602 Brown 5 Inch Corvallis GTX Non-Metallic Safety Toe Boots are waterproof and have full-grain leather uppers to give them a long life. They’re handmade workwear that feel like athletic shoes. These Danner boots are THAT good. The design of this footwear is completely rugged, and they still treat you to a comfort level you don’t often find in most workwear. The non-metallic Alloy safety toes are lighter than steel and meet ASTM requirements F2413-11 M I/75 C/75. An added bonus is that these slip-resistant boots won’t conduct heat or cold to your feet. They’re electrical hazard rated, too, meeting ASTM F2892-11 EH standards. The speed laces give you a secure, snug fit without pinching. You can adjust them as the day progresses for extra comfort. Inside this safety toe footwear , you’ll find Gore-Tex waterproof barriers. This lines the entire insides of these premium shoes and gives you total protection from any water getting to the interiors. At the same time, it allows the moisture from your hard-working feet to escape. Your feet will feel drier, even at the end of a long day. In addition the TPU shanks support your arches to reduce fatigue and the side supports keep you more stable on your feet.The Danner Landscaper outsoles on this footwear are lightweight, but they still provide you with excellent traction. They dissipate the striking force throughout the footbeds for a more comfortable stride. There's a 90-degree heel and a lug pattern on each of the rugged outsoles to provide superior traction, as well as oil- and slip-resistance. The Danner Men's 17602 Brown 5 Inch Brown GTX Non-Metallic Safety Toe Corvallis EH Boots have abrasion-resistant toes and heels for durability. Order yourself a pair of this reliable footwear today! I have had these boots for about a month now. They definitely keep my feet dry. I have worn them on hot days and my feet stay a comfortable temperature. Very comfortable. The only downside is a hard plastic arch on the sole. This plastic slides along metal pegs or ladder rungs. Whoever approved a plastic arch for a work boot should have their head examined. Not safe for tower climbers. Too bad, because the rest of the boot is flawless. Love everything about this boot. Color, comfort, look, weight. I can't tell its a safety boot. Working Person's Store staff are great people. There to answer all my questions, and felt comfortable buying from them. I recommend these boots because they are comfortable and lightweight. I work 12 hour shifts and at the end of the day my feet are still comfortable. They are waterproof and the safety toe is nice and lightweight. This is my 2nd pair and will buy again. There wasn't any break in period and you have to love the free shipping! Danner comes out of the box ready to wear, very little break-in time. This particular boot can be worn all day without discomfort. When I've worn them all day and I'm home relaxing after being on my feet all day, my feet do not hurt. Great boots! 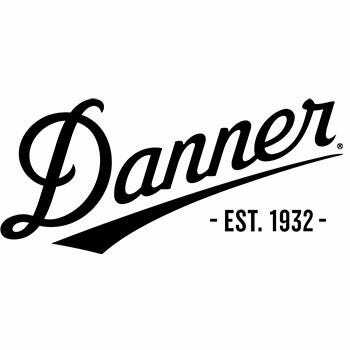 Danner Boots: Men's Brown 17602 Waterproof Safety Toe EH Corvallis Work Boots is being added to your cart.